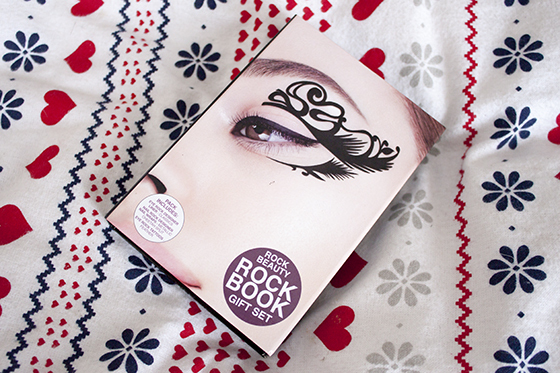 For Christmas, Rock Beauty have introduced a selction three "books" each containing "rocks" for nails, body and eyes. 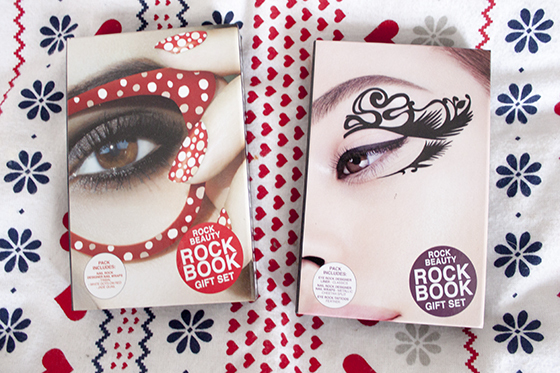 The three sets are Rock Beauty Nails, Rock Beauty Disco and Rock Beauty Glamour. Zoe Pocock is the creative behind the brand, she has created nail designs for some of the worlds top design houses so Rock Beauty's collections are on trend and seasonal. 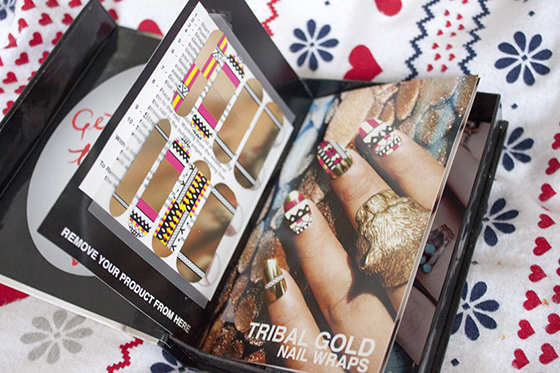 The Rock Beauty Nails book contains three styles of wraps Tribal Gold which is a mixture of metallic gold and bold stripes in a tribal fashion. Seeing Spots is a metallic mixture of red and silver spots. The final wrap design is Jade Quail which is a beautiful turquoise print which is my favourite from this book. Nail wraps are quite tricky to apply but look amazing once you get the hang of them. They are all eye-catching and interesting designs. I think they are presented really well in little kits with all the instructions on how to apply each design. 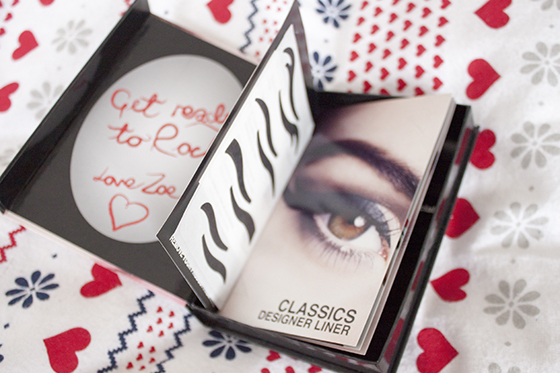 At under £10 these are perfect for secret santa's or stocking stuffers. 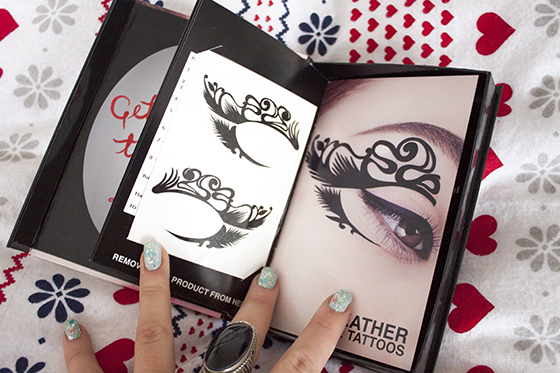 Perfect for girls who are into their nails or creative style makeup. I'd love to get this as a gift and I showed my housemates and they all agreed it was a really affordable Christmas gift! One even shotgunned getting one for secret santa! 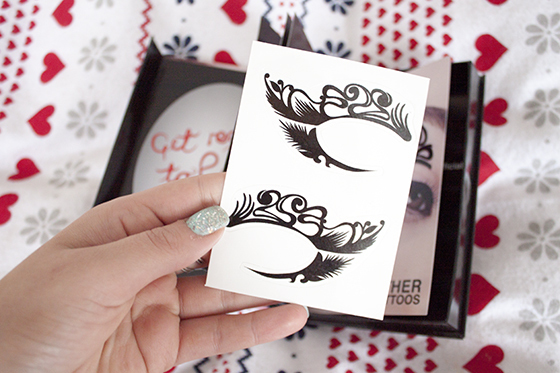 These can be purchased from the Rock Beauty online store or from New Look.